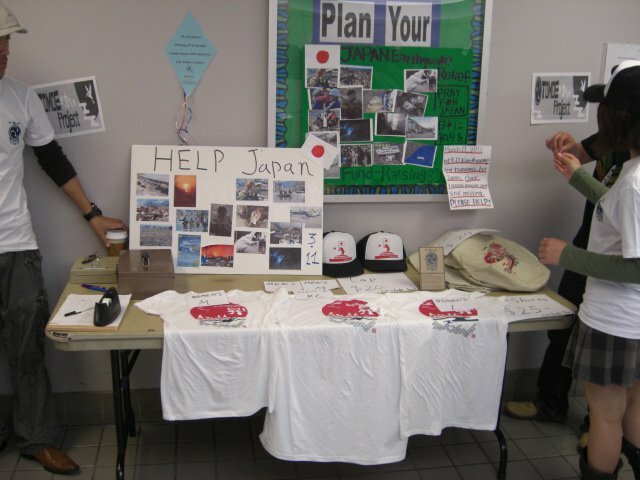 We visited a local community college today to raise Japan earthquake and tsunami relief fund today! 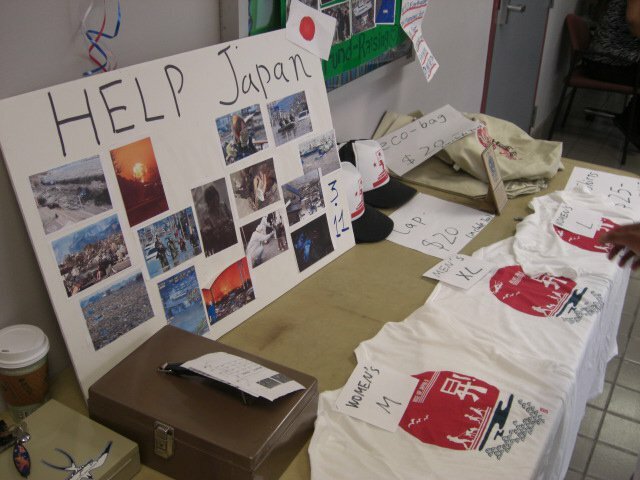 It was very successful! 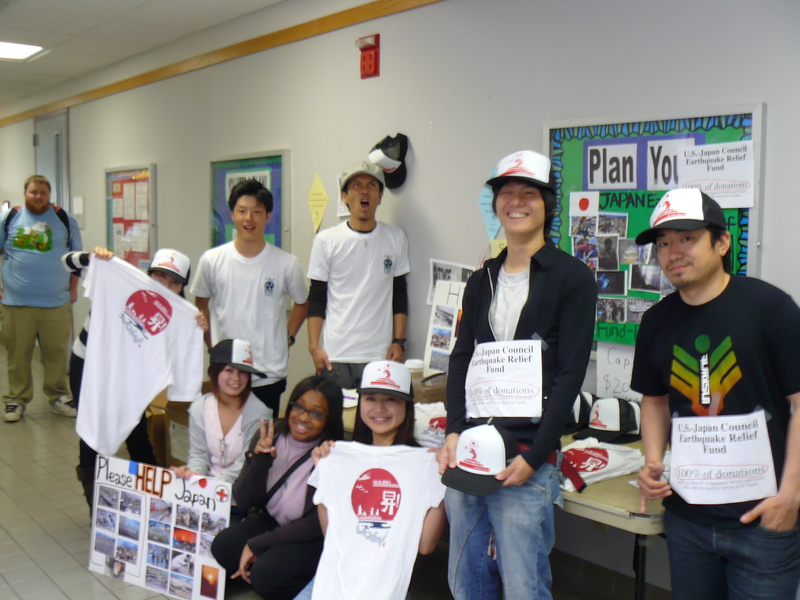 Many thanks to Kazu, Japan Club, volunteer students and Mira Costa students for your support! 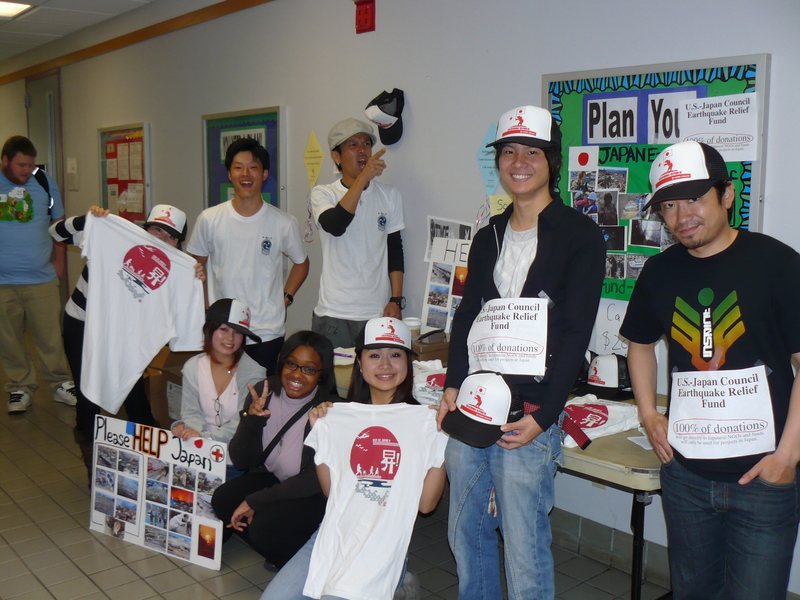 Today, we got very very nice successful of “Tomoe Project in MiraCosta”!! 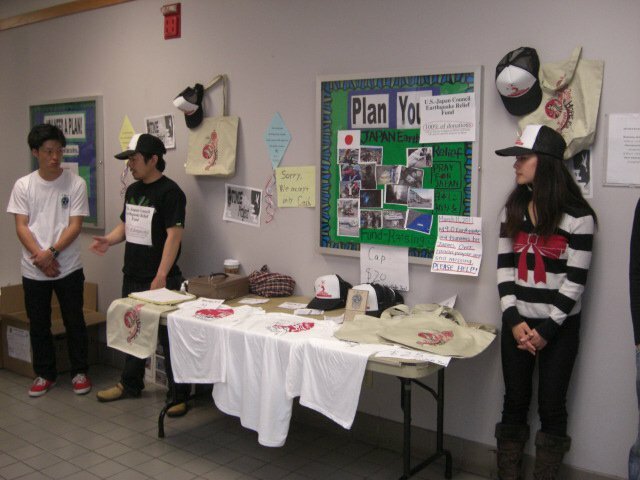 Our friends and MiraCosta students bought a lot of products today! 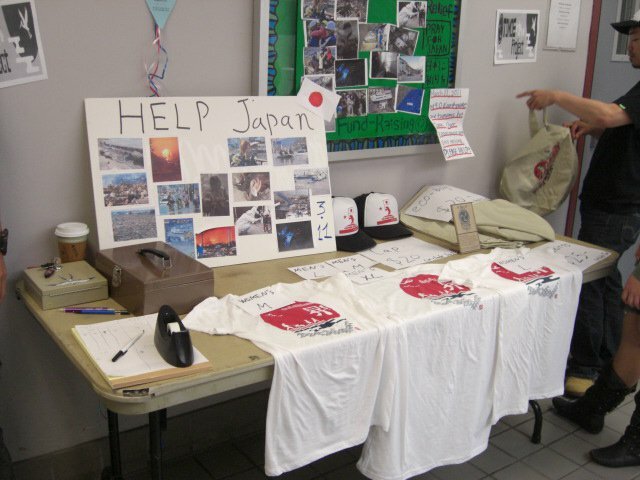 Actually, we sold for more than $2000 and around $1000 for students who are going to MiraCosta and got damage by cragy earthquake. Everybody said “Wow! These products are so cool” They were glad to get our products. So, we have another donation in San Elijo Campus on this coming Friday! Thank you very much desu! !